PV's 18th Annual International Film Festival brings movie stars, producers, directors and fans from all over the world to Puerto Vallarta for 12 days of motion picture screenings, conferences, workshops and more. Puerto Vallarta, Jalisco, Mexico - The stars will be shining bright over Banderas Bay this month, as the University of Guadalajara's Centro Universitario de la Costa welcomes actors, film directors and movie fanatics from all over Mexico and the world to the Eighteenth Annual Puerto Vallarta International Film Festival. From March 12 to 23, moviegoers will enjoy twelve consecutive days of a selection of more than 40 films from Mexico and the world, with the region of Catalonia as guest of honor. Invited artistic talent includes figures such as Mexican movie, theater and television actress, Gabriela Roel; Nicaraguan movie and television actress, Camila Selser; Mexican actors Erick Elías and Francisco de la Reguera; the director and producer of the HBO television network, Dan Attias (US); actor and screenwriter, Mark O'Halloran (Ireland); and, since Vallarta's Film Festival is 'coming of age' this year, adult film director, Erika Lust (Barcelona). The International Film Festival in Puerto Vallarta (FICPV) also includes the delivery of the "Golden Iguana" award, to prominent figures from the world of cinema, and parallel activities such as the Huston Film and Literature Chair. Renowned Mexican actor José Carlos Ruiz will present his book, I Did Not Go To School, I Went To The Cinema: José Carlos Ruiz will present The Biography of Eduardo De la Vega; and the academic from the University College Cork (UCC) of Ireland, Dr. Barry Monahan, will give a free workshop on screen writing and directing short films. Valencian digital artist Naro Pinosa, who is responsible for the official image of this year's Maguey Award, will present an exhibition entitled NaroPinosa at the CUCosta, in conjunction with CORONEL: Al paso del tiempo, by Guadalajara artist Aldo López Madriz. 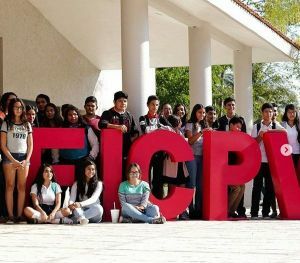 "Puerto Vallarta, Movie City" is the motto of the 18th FICPV, which honors the cinematographic vocation that has accompanied this tourist destination since the filming in 1963 of the iconic film by director John Huston, The Night of the Iguana. Since the 2017 edition, the festival has broadened its programming and its sections with the sole purpose of reaching new audiences and, at the same time, extending the taste for cinema among people of all ages and all walks of life. This year's program includes more than 40 film screenings that are free and open to the general public; divided into eleven sections: Official, Academic, Senior, Environmental, Cross-border Cinema, Short Films, Echoes of the Cork Film Festival, Gourmet, Children, Musical and Maguey Awards. 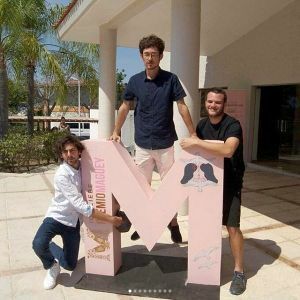 Now in its fifth edition as part of the FICPV, the Maguey Awards arrive in Puerto Vallarta with the theme "Over the Rainbow" and a selection of four LGBTTTI films, including El Repostero de Berlín, a product of a collaboration between Premio Maguey and the International Jewish Film Festival. FICPV 18 will also feature the Mexico premiere of the 3D documentary, The Wonders of the Sea, directed by Jean-Michel Cousteau, son of the legendary explorer and conservationist Jacques Cousteau, and narrated by American actor Arnold Schwarzenegger. In addition there will be a selection of Irish short films presented by the director of the Cork Film Festival, Fiona Clark; and the presence, for the first time in the history of the FICPV, of the International Festival of the New Latin American Cinema of Havana, Cuba through its director, Iván Giroud Gárate, and the director of Public Relations, Exhibitions and Marketing, Yumey Besú Payo. 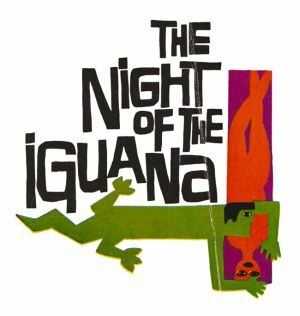 Every year the FICPV delivers "The Golden Iguana," the festival's highest award, in order to recognize the trajectory of those who have made significant contributions to the world of cinema. Figures of Mexican and international cinema such as: Ofelia Medina, Victoria Abril, Bianca Jagger, Elpidia Carrillo, Giovanna Zacarias, Alfonso Arau, Jim Sheridan, Ron Perlman and Lazar Ristovski, among others, are some of the winners over the last four years. In its 18th edition, the FICPV will recognize with the golden award: director, screenwriter and producer Erika Lust; director and television producer, Dan Attias; to the production of the documentary by Jean-Michel Cousteau and Jean-Jacques Mantello, The Wonders of the Sea; and Irish screenwriter Mark O'Halloran. With the passing of time, the medal has become an icon of the festival, as it bears one of the most representative symbols of Puerto Vallarta. Parks and public forums, educational and cultural institutions, shopping centers, restaurants and other entertainment centers have been added as screening venues for this year's featured films. Some of the FICPV 18 venues are: Los Arcos del Malecón amphitheater, Lázaro Cárdenas and Los Sauces parks, UdeG Gourmet Station Gastronomy School, Puerto Vallarta Regional Preparatory School, The Jazz Foundation, El Barracuda / El Solar, Los Mangos Library, La Isla Shopping Village, Villa Mercedes Petit Hotel and Oficina de Proyectos Culturales (OPC). All events are free and open to the public. Don't miss it! For movie listings and screening times (in Spanish), please visit the film festival's official website. Michael Nolen, the host of The Good Morning Wake Up Show, which is broadcast every Saturday via the University of Guadalajara Centro Universitario de la Costa radio station, contributed to this article.